The images coming out of the Gaza Strip are heart-wrenching. They are also part of a deliberate and sophisticated distortion machine. A veteran journalist takes us inside. You’re seeing civilians dying and suffering in Gaza. You’re seeing the destruction Israel’s military operation against Hamas has caused. You’re hearing from Israel that Hamas is firing rockets from crowded neighborhoods, using helpless Gaza civilians as human shields, forcing them to stay in their neighborhoods in defiance of Israeli warnings to leave. Why aren’t you hearing that from Gaza? Often, it’s because reporters are afraid to tell you. True, in some cases, it’s anti-Israel bias. In others, it’s bad journalism—covering the story you can easily see above ground, like destruction, misery, death and funerals, instead of digging for the real story: Why this is happening and how the powerful are operating behind the scenes or underground—again, literally. It’s the scourge of 21st century “journalism,” with its instant deadlines, the demands to tweet and blog constantly, the need to get something out there that’s more spectacular than the competition, and check the facts later, if at all. Add to that the cruel cutbacks by news organizations around the world. It all means that fewer and fewer reporters have to file more and more stories, and file partial reports while they’re working. It’s impossible. I allow myself the quotation marks around “journalism” because I’ve been a journalist for half a century (I started young), covering the region since 1972, and I fear my profession is not what it used to be, and not for the better. So those elements are parts of the reason why you’re not getting the whole story from Gaza. But the most important element is intimidation of reporters on the ground. It’s nothing new. I’ve experienced it for decades. Autocratic regimes threaten, attack and jail reporters who write anything critical of those in power. Other reporters get the message and just don’t do it. Bringing this element of the Gaza situation to light entails some real dangers. It’s a saga that can’t be told directly in detail. If it is, and if specific reporters can be identified here, people will be harmed. Not just the reporters, but their families, too. But if this isn’t told, you’ll be harmed. You won’t know why you don’t get the whole story. Let’s proceed like this: I will draw on my four decades as a foreign correspondent in this region, telling you how it works, giving some examples — but I will not tell you exactly who is involved, and I may take some steps to cover their tracks. So don’t try to figure it out. This is the main factor, for better or worse, and it’s clearly both: News organizations make the safety of their reporters their top priority. Whatever it takes to keep them out of harm’s way — that’s what is done. I applaud that and I support that, though everyone understands that the policy can be and is exploited by tyrannical regimes to your detriment. For example, in 2001, a news agency refused to release video it had of Palestinians celebrating the 9/11 attacks because Palestinian militants threatened the photographer and his family with murder. It was what is called a credible threat. The news agency took considerable heat for its decision to suppress the video but stood by its decision, depriving the world of the visual documentation of an important development. The drive to protect reporters runs the entire range from serious to silly. Fearing injury to its staffers from rocks thrown by Palestinians and Israeli army gunfire, news organizations imported armored cars to drive around the West Bank and Gaza. They cost a fortune and kept breaking down. Then they allowed reporters and photographers to drive around the West Bank in their own cars — but they had to wear helmets. Plastic bicycle helmets. That’s the silly part. But in fact, they didn’t. They didn’t report from Gaza about where the Hamas rocket launchers were, where the ammunition is stored, where the openings of the tunnels are—if they mention the tunnels at all, which in this case, they didn’t. A reporter for a European news outlet told a friend that he saw Hamas gunmen firing rockets from outside his hotel, but he didn’t take pictures, certain that if he had, they would have killed him. He told the tale only after he was safely out of Gaza. Apparently his news outlet did not have a permanent local stringer there, or he would not have been able to speak even from the relative safety of Tel Aviv without endangering his stringer. 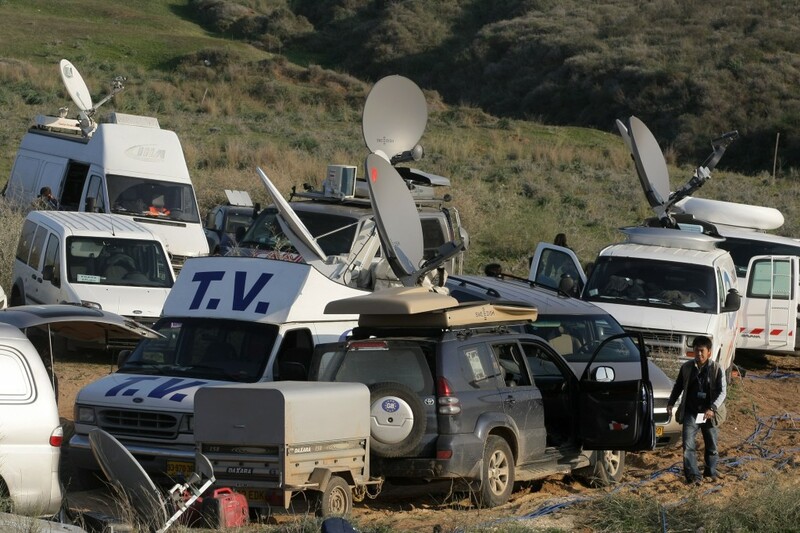 News agencies, newspapers and TV networks use their local Palestinian stringers to do most of the work on the ground. In this era of cutbacks in my industry, there aren’t enough reporters, and those they send in are not fluent in Arabic and don’t know their way around. 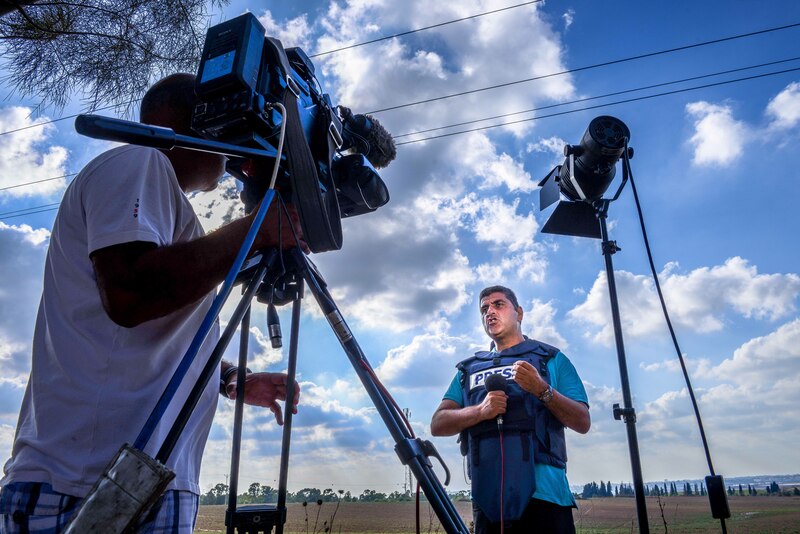 Besides the budgetary limitations, news organizations often hesitate to send reporters into Gaza at all because of the constant danger, and not from Israeli airstrikes. In 2007, BBC reporter Alan Johnston was kidnapped by Palestinian militants and held for more than three months. Many other foreign journalists were kidnapped there and held for a day or two around that time. There have been no kidnappings recently, but the message was clear—foreigners are fair game. The message was heard and understood. For lack of an alternative, news organizations began to rely more and more on local stringers, giving the regime considerable leverage through intimidation. It’s expected that news organizations will deny all this—it’s part of the dance. On many occasions, frightened stringers have pleaded to have their bylines taken off stories. Some have been “evacuated” from Gaza for a time for their own safety, after an article critical of the regime was published or broadcast. Families have been spirited out for a while. So when the stringer returns home and gets back to work, it’s pretty clear how he’ll behave. Everyone in the home office knows that and accepts it. The West Bank, run by the relatively moderate Fatah, is no better than Gaza’s Hamas in this regard. Back in 2000, two Israeli reserve soldiers bumbled their way into Ramallah, where they were lynched and murdered by a mob. The grisly photo of a Palestinian holding up his bloodstained hands proudly from a second-story window after the bodies of the soldiers were thrown out is seared into the memories of Israelis. Yet an Italian TV network felt the need to apologize in public for the fact that there was video of the horrendous event — explaining pitifully that a rival network was responsible, and that they would never do anything that could reflect badly on the Palestinian Authority. That was a rare public glimpse into how “journalism” works in such places. A decade or so later, this same reporter, like others, refused to touch a story of a Palestinian whistleblower, appointed by President Mahmoud Abbas himself to find evidence of corruption in the PA. He did his job too well, it seems—he was fired, but not before he said he took with him 40 boxes of incriminating documents, possibly answering the question of where those billions of dollars and euros of aid to the Palestinians has gone. 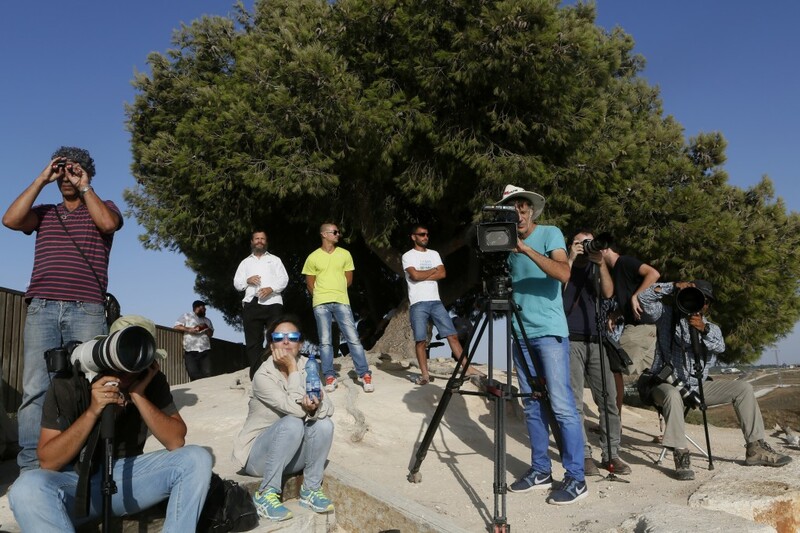 The whistleblower approached several reporters, but no story was done until a local Israeli TV channel broadcast a report, and to the best of my knowledge, no serious examination of the documents has been undertaken. 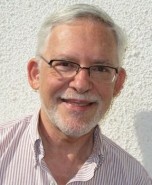 It could be that over the years, that reporter was won over to the righteousness of the Palestinian cause, refusing to do any stories that reflected badly on his fellow Palestinians. Or it could be that he realized that if he did such stories, he would be cut off from his sources. Or worse. That is part of what’s going on in Gaza today. For as long as I’ve been dealing with Gaza, local Palestinian reporters have affiliated themselves with the side considered to be the strongest. At first, that was Fatah. It started changing after the first intifada erupted in 1987, when Hamas emerged as a power. For example, the stringer for two major Western news outlets always managed to get the Hamas statements and leaflets in Gaza before anyone else. The leaflets were a key source of information about the new, radical, violent Islamic group. I eventually figured out why he was always first—Hamas was giving him the leaflets to translate into English, and then he’d pass them on to his clients. One particular news outlet always got the suicide bomber videos first. Those were the farewell diatribes recorded by Hamas terrorists about to embark on a mission to blow themselves up in Israel. It emerged that the camera crew that worked for the news outlet was the same one filming the statements. Those are examples of local reporters choosing sides out of both ideology and self-preservation. Clearly the abuse of reporters and perversion of journalism is not unique to Gaza or the West Bank. This is the situation all over the region save Israel. During my two years in Egypt, I saw some of my colleagues beaten, harassed and arrested. The military-backed Egyptian regime jailed reporters for Al-Jazeera last December, charging them with belonging to or assisting a terrorist organization. Three, including Australian Peter Greste and bureau chief Mohamed Fahmy, a Canadian-Egyptian, have been sentenced to seven to ten years in prison. Some moves are quieter. A news outlet pulled its photographer out of Saudi Arabia, because the regime would not allow him to take pictures of anything. Local reporters steer very clear of controversial subjects. So one of the most important nations in the Middle East, and arguably the world, is not covered properly, because the regime won’t allow it. We do get some news out of Iran, but local reporters there are pretty much confined to rewriting official news releases and interviewing government officials. Iran gives press credentials sparingly, if at all, and if a reporter is expelled, as many are, his news agency can’t replace him. So the choice is, either milquetoast official news or no news at all. Both Syria’s government and some rebel groups operating there kidnap and kill journalists in the worst case, and severely restrict their movements in the best case. Much of the “news” coming out of Syria is in the form of video clips made by one side or the other. Some are so clearly fake that they are almost humorous—almost, because an obviously staged video of “Syrian soldiers” burying rebels alive is not exactly the stuff of stand-up comedy. Needless to say, local Syrian stringers walk a very careful line, and some just disappear for weeks on end when things get too dicey. Journalists, of course, won’t tell you what you’re missing in the coverage. Their anchors or editors won’t tell you why large parts of the story are colored a certain way or taken from a certain angle. They don’t want to put their reporters’ lives at risk. 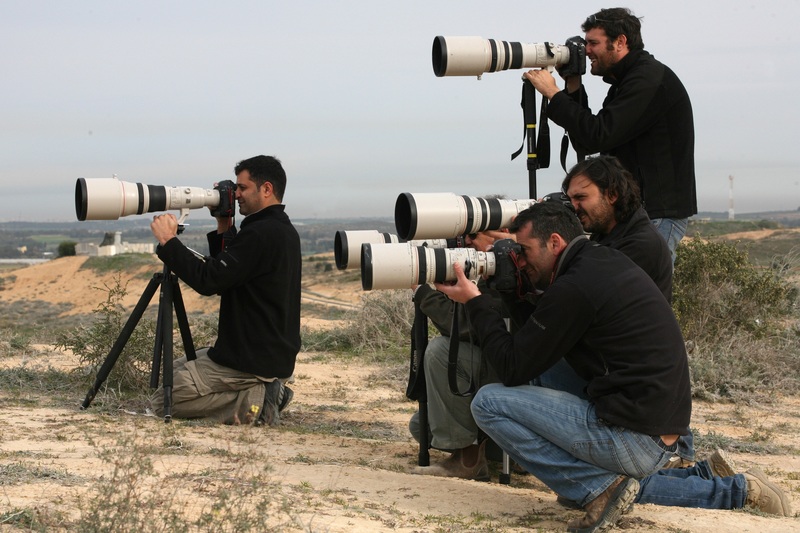 This is the main reason that video and pictures seem to flow freely out of Gaza. But critical elements of the story itself can’t, and neither can all the pictures and video. It gives the impression that the story is being covered, when only part of it—sometimes a small part—is being covered. All we can do is keep this in mind: the world does not operate according to our democratic standards of freedom of the press. What we see may not be the whole truth. In fact, you can be sure it isn’t. And then there’s Israel. It has the freest, most irreverent press in the region, which, granted, isn’t saying much. Israeli newspapers reflect the wide range of political views, and that is wide, indeed. One newspaper clamors for an end to the conflict in Gaza, while next to it on the news stand is a paper insisting that the operation must continue until Hamas is “utterly destroyed,” using a chilling biblical term. But Israel, some might point out, has that frightful and undemocratic military censorship. The military decides what can be printed and what cannot. The status quo is so horrible that most news outlets reporting from Israel feel the need to inform their readers or viewers each time a story is submitted to the censor, and whether or not it’s been altered as a result. Censorship can be excused in a nation that’s at war, but in the age of instant communications, Israeli censorship has run its course. Not that it’s unjustified—it just doesn’t work anymore. It’s too easy to circumvent the censor and publish anything you want on the Internet. The fact of censorship probably does Israel more harm than good, precisely because it appears as if the government is controlling news. In practical terms, it doesn’t. Censorship applies to military operations in progress, as well as a list of items deemed to be matters of national security. In practice, military operations in progress are live-blogged, live-tweeted and live-broadcast all the time now, and there’s nothing the military can do about it, so why continue the effort? On the other hand, the opposite argument can be made. It’s not that Israeli censorship actually limits the news coming out of here. The very fact that it’s considered necessary shows how free the news media are. It’s a sharp contrast to the rest of the region, where there’s no need for censorship. Brutal intimidation and threats against reporters are so much more effective.